Our Wednesday drop-in meditation sessions provide an ideal environment for new students to learn how to meditate, and for seasoned meditators to deepen their practice. We use meditation to work with our minds and to cultivate the potential of the mind to experience more happiness. Both neuroscience and medical research have studied the effects of meditation and discovered many benefits of this practice. These include stress reduction, lower blood pressure, increased attention, less anger, greater positive mental states, and an increase in our capacity for peace and happiness. 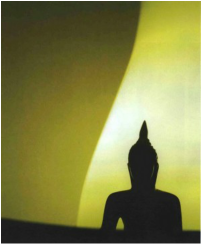 Beyond that, meditation is an essential part of our spiritual practice if we are wanting to attain spiritual realizations. Suggested donation: $5–$15. Everyone is welcome. Join us for weekly Sunday morning meditations appropriate for all levels of practitioners. This is a peaceful way to start your Sunday, and a good opportunity to practice with a group and get your questions answered. The sessions will include a period of silent meditation followed by a guided meditation on a topic from the stages of the path. ​A short introduction to the topic and time for questions will also be included. There will also be occasional Dharma talks following the meditation at 11:15am. Venerable Yangchen has been a nun since 2001. She lives at Land of Medicine Buddha in Soquel, where she also leads meditations and practices on a regular basis. Sharon Allen has been teaching mindfulness meditation for many years, including Mindfulness-Based Stress Reduction. 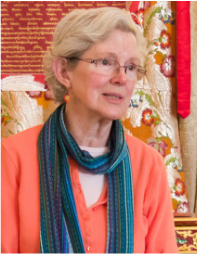 Beth Dart is a life-long practitioner and a student of Lama Zopa Rinpoche's. She grew up in a Dharma family when Lama Yeshe was still alive and teaching. Beth has been leading meditation at Ocean of Compassion for several years. Prior to returning home to California, she was Spiritual Program Coordinator at Land of Compassion and Wisdom in Austin, TX, where she lead introductory classes, meditations and pujas. 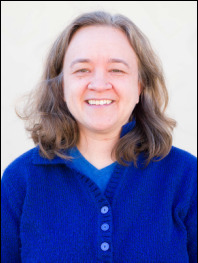 Beth currently serves on the Board of Directors at Vajrapani Institute in Boulder Creek. She has a bachelors degree in comparative religion from Oberlin College. Beth is passionate about serving our community and is especially gifted in creating a gentle, accessible space for people who are new to meditation and practice. Don Isaacson is an advanced Dharma student having followed the FPMT Basic Program courses in person for many years, and the FPMT Masters Program online, 2008 to 2013. 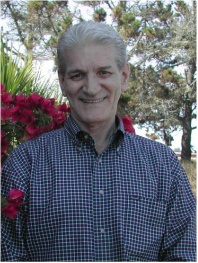 Don currently serves on the Board of Directors at Land of Medicine Buddha in Soquel. Rosemary Berwald​ has been seriously meditating for many years. She has attended the Discovering Buddhism classes at our center as well as some of the Basic Program modules.